Are you rich? Do you want to lose some of your money? Full Tilt Poker has just recently introduced three new heads-up poker rooms on their site. These rooms are the highest of the high nosebleed games. The real kicker? 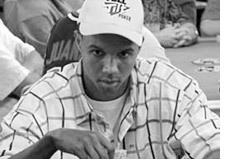 Phil Ivey has a spot constantly reserved at each of the three tables. So you will be playing nosebleed heads-up action against the one and only, Phil Ivey. Railbirds everywhere squealed with delight when Full Tilt Poker brought in these rooms. Not only do they get to rail some high stakes action, but they are guaranteed to see Phil in action, which is definitely killing two birds with one stone. Ivey Glue Factory - $2000/$4000 H.O.R.S.E. One can only hope that the likes of Kaibuxxe and Patrik Antonius decide to sit at some of these high stakes games. Especially on the Pot Limit Omaha table, the action should be especially crazy, given how aggressive the top pros can be.